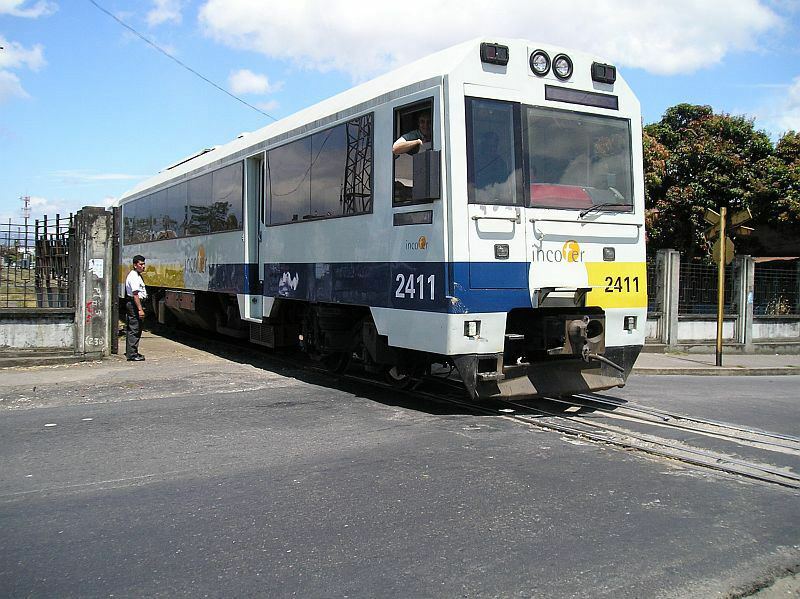 The “Apollo” trains in use in Costa Rica. QCOSTARICA – Following legislative authorization to borrow and with the Central American Bank for Economic Integration (BCIE/CABEI) willing to provide financing, the Instituto Costarricense de Ferrocarriles (INCOFER) – Costa Rica railway – is going shopping. The president of the INCOFER, Guillermo Santana, in an interview on Dialogos by La Nacion, announced plans to buy eight new units in France, Spain, the Czech Republic or the United States. In addition, work will be done to refit stations and to implement an electronic payment systems and the possibility of an electric train. The Incofer aims to have the new trains operational in early 2017. In the 30 minute interview, Santana did not touch on the very important subjects, mainly of avoiding the constant collisions between the train and vehicles and the lack of proper signalization and security at most of the train level crossings. Santana said that thanks to a new law, the trains could possibly operate under concession (with private operators) and all changes have the objective to increase daily services, even on Saturdays.